A Teacher's Perspective on Education, Mental Health, Girl Power and Dogs. I recently asked my Instagram followers (@teaching_with_anxiety) what time of day that they experience the most anxiety/depression. The response was pretty even between morning (before work) and evening (before bed). So, I decided to do research on both and put together a blog to inform you about how you can better manage your mental health during either of these tougher parts of the day! This particular blog post will be dedicated solely for morning anxiety/depression. My next blog post will be on evening anxiety and depression. Enjoy! Be sure to share with anyone else you know who faces tough mornings. I’d like to start by sharing my own struggles with morning anxiety. While I don’t experience it every day, I do go through periods in my life where I experience these types of anxious mornings for several days in a row. I have experienced morning panic attacks, racing heart, nausea, vomiting, sweating, feelings of spiraling, mental exhaustion, loss of motivation, etc. Usually, this feeling is also accompanied by depression. I feel like not only do I not want to get out of bed – but like I CAN’T get out of bed. I feel physically and mentally and emotionally exhausted on these mornings, and lose the motivation to look presentable or leave the house. I question whether I will be able to make it to work, or to even accomplish the mountains of obligations I have on my plate that day, when even the simplest of tasks feels like heavy lifting. Typically, this happens when I am facing a tough situation in my life – a breakup, something at work, financial issues, something wrong with my pets, house problems- an event that causes prolonged stress and throws my life or routine off. Sometimes, I don’t adjust well to big changes. Once I begin to accept change and learn how to adjust or better the situation, my morning anxiety tends to go away. Also, when I busy myself with work and my day begins to unfold, the distraction usually helps my anxiety gradually subside. I know my anxiety level goes up at random points of the day – including mornings – when I don’t get enough sleep. I can tell that it throws my brain off for the rest of the day. If you struggle with falling asleep at a decent hour – try some melatonin or evening meditation. Both have worked like a charm for me. Of course, long term solutions are important. I want to acknowledge that psychotherapy or medication can help you, and ultimately you want to do what you can to decrease stress in your work or home life. That being said, I also want to provide you with suggestions that serve as more immediate self-help. In the moment that you feel your anxiety or depression starting to disrupt your morning, you want to to practice deep breathing exercises (I have to even if it feels forced – it is the key to calming yourself down!). You can also journal how you are feeling, and try to end your journal entry with a positive note of one thing you have to be grateful for or look forward to that day. In addition, according to healthline.com, you may benefit from some small lifestyle changes like getting enough sleep (important! ), limiting caffeine, and avoiding sugary foods before bed. However, sometimes it is your mindset that you need to change. I completely understand that we do not ask for our inner voices to say things like “I feel terrible. How am I going to drive to work today? I’ll never get through the day. What’s wrong with me?”. So, sometimes we have to try to shut those voices off by practicing replacing negative self-talk with positive self-talk. According to verywellmind.com, you can replace these negative thoughts with positive statements, such as: “Yes, I feel anxious this morning, but I have felt this way before and have been able to handle it. If I have trouble with anxiety during the day, I can use relaxation techniques that will calm me down. I’m in control. Anxiety is a normal human emotion, and it’s my cue to relax.” There have been many times where I start getting anxious, and I just start getting ready to distract myself. I will redirect my focus from toxic thoughts by reminding myself that I am simply doing my hair, or putting on eyeliner, and there is nothing anxiety provoking about that. Getting ready to music in the morning also is a great help. For both long term and short term benefits, I recommend trying to adopt a positive morning routine. This is one lifestyle change that I plan to adopt for 2019! (Stay tuned for blog updates on that). Try to wake up 15 minutes earlier to lay in bed and meditate or do some light yoga. When I was 14 and first began experiencing morning anxiety, I actually did light yoga every morning for 45 minutes, and gradually cut down as my feelings of anxiety in the morning lessened. Any physical activity in the morning, even just going for a walk, has always helped me. 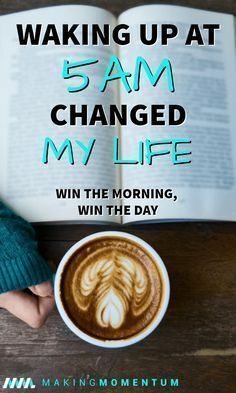 You can add positive affirmations, a cup of tea, music, or even reading to your morning routine to help you get your day started. Remember, you are in control, and consistency is key. 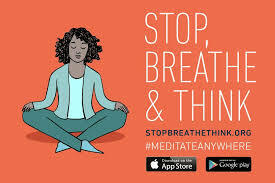 And last but not least, here is a link to a meditation app that was recommended to me by my beloved therapist! It is pretty cool because you can enter in your symptoms, and it generates suggestions for what type of meditation you should do to benefit you the most in that circumstance! It works great for helping you fall asleep, but I have used it in the mornings when I’m feeling anxious as well.